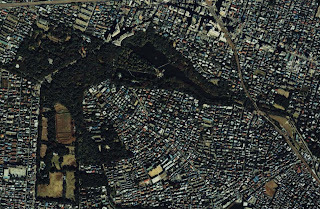 The whole area to the west of the pond in Inogahshira Park is called "Goten-yama" (palace hill). In this area, the ruins of Japan's Stone Age of 10,000 years ago, together with stone spears from the Non-Earthen period, have been found. The remains of pit dwellings from the mid-Jomon (4,000 years ago) to the latter Jomon period ("Jomon" means "rope-marking patterns") and ruins of paved stone dwellings have also been found. These findings, together with discoveries of various stoneware and Jomon earthenware, prove that people began to gather in the area to form a village in the Jomon period. 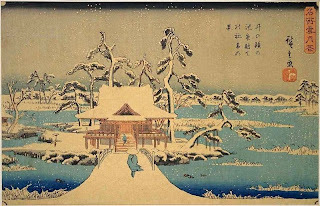 Benzaiten (a shrine dedicated to one of the Seven Gods of Fortune), which stands in the middle of the pond, is believed to have been built by Minamoto-no-Yoritomo (the found of the Kamakura Shogunate) to symbolize his intention to defeat the Heike clan. However, others believe that the shrine is a legacy from a much older era than Yoritomo. 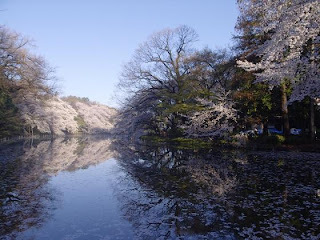 "Inogashira-Ike" (Inogashira pond) is thought to have been named by the third general of the Edo Shogunate, Iemitsu. Traditionally, the name converys the meanings of "the source of water" and "the well that produces the world's best water." Thick water-retaining woods used to cover the banks around the pond, creating picturesque scenery. With time, the species of trees and the character of the wodds have changed, and the suburban image of the park is gradually beginning to face. 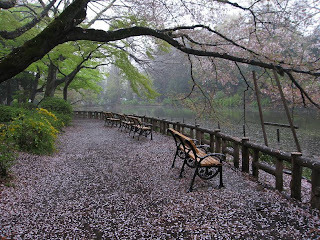 However, it remains a most popular place to relax for the people of Tokyo. 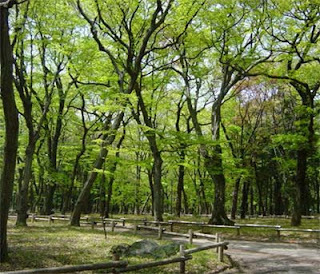 The park is divied into four areas: Inogashira-Ike and the surrounding area; palace hill with its natural beauty of various species of small trees as well as cultural facilities; the western area with sporting facilities; and the second park to the southeast of the western area. Was THAT your "Destiny" to be in Japan at THIS time in your life? Haha... that's gotta be the funniest comment so far. Anyway... that looks like a really nice place.